A dedicated Enterprise Car Club vehicle is now based on campus for use by staff and postgraduate students taking shorter journeys in and around Manchester. Photo of the University of Manchester via David Dixon/Geograph. 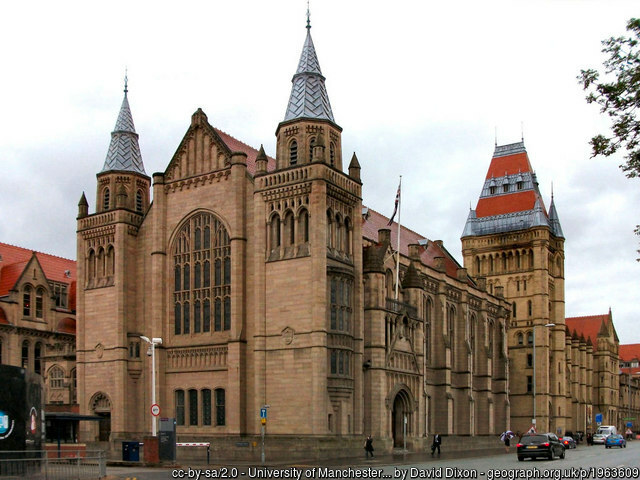 The University of Manchester’s School of Earth & Environmental Sciences today revealed that it has saved around 2,000 pounds ($2,656) on its travel costs in its first year by switching to Enterprise for daily and international vehicle rental. The university has adopted Enterprise Rent-A-Car as its primary supplier for both its business travel and field trips in the U.K., as well as hiring 4x4s as part of its frequent international fieldwork, which in 2017 included 18 research trips across Europe. In addition, a dedicated Enterprise Car Club vehicle is now based on campus for use by staff and postgraduate students taking shorter journeys in and around Manchester. The university previously used a combination of daily rental and grey fleet for shorter journeys in the U.K., which the Enterprise Car Club vehicle has replaced.